KATHMANDU, March 2: As Nepal Medical Council (NMC), the apex body of medical doctors in the country, marked its 55th anniversary on Wednesday, doctors and experts expressed worries over the lack of specialty doctors to provide certain specialized health services in the country. 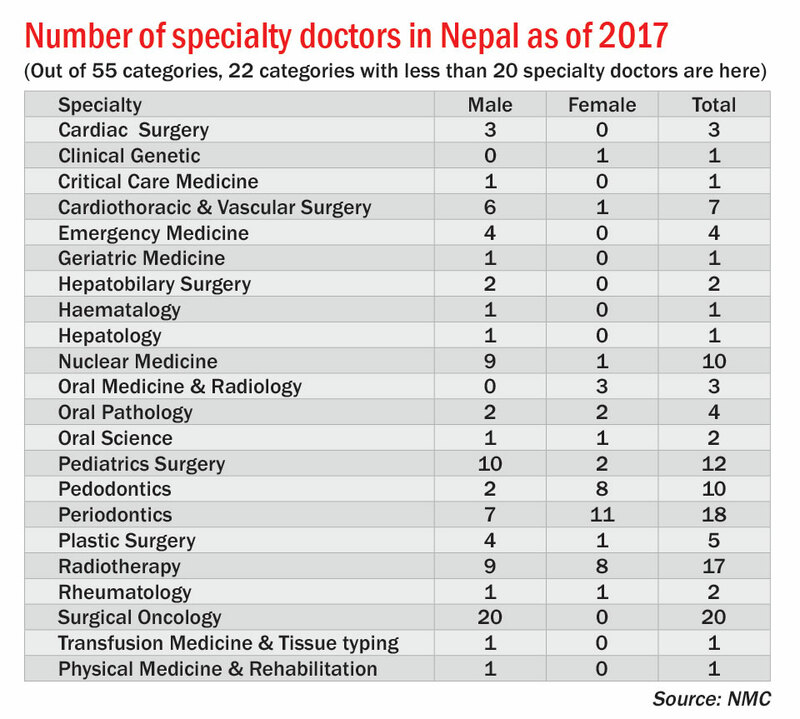 The number of specialty doctors, particularly under seven different categories, is very few, according to the data provided by the NMC. Dr Dilip Sharma, registrar at the NMC, said that the number of doctors in the field of clinical science (general medicine) is higher among the doctors. "However, the number of doctors in basic science (specialty) is very low," said Dr Sharma. The specialist doctors have been classified into 55 categories, according to the NMC. There is only one doctor each across the country in each specialty category of Clinical Genetics, Critical Care Medicine, Geriatric Medicine, Hematology, Hepatology, Transfusion Medicine and Tissuetyping, and Physical Medicine and Rehabilitation. Similarly, there are two specialty doctors each in Hepatobilary Surgery, Oral Science, and Rheumatology throughout the country. There are three doctors each in Cardiac Surgery and Oral Medicine and Radiology, four each in Emergency Medicine and Oral Pathology, five in Plastic Surgery, seven in Cardiothoracic & Vascular Surgery, 10 each in Nuclear Medicine and Pedodontics, 12 in Pediatric Surgery, 17 each in Radiotherapy and Endocrinology, 18 in Periodontics and 20 in Surgical Oncology. 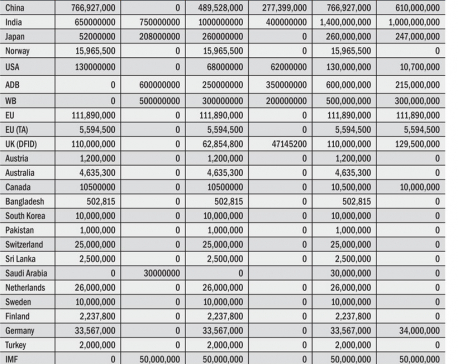 Likewise, there are 21 specialty doctors in Nephrology, 26 each in Neurology and TB & Respiratory Diseases, 28 in Conservative Dentistry & Endodontics, 31 in Neurosurgery, 33 in Forensic Medicine, 34 in Gastroenterology, 35 in Urology, 36 in Anatomy, 38 in Biochemistry, 44 in Oral and Maxillofacial Surgery, 45 in Prosthodontics, 48 in Microbiology, 53 in Physiology, 56 in Pharmacology, 66 in Orthodontics, 114 in Cardiology, 122 in Community Medicine & Public Health, 147 in Psychiatry, 185 in ENT, 191 in Dermatology & Venerology, 209 in Clinical Pathology, 231 in MDS, 291 in Ophthalmology, 298 in General Practice, 352 in Radiology & Imaging, 389 in Anesthesiology, 475 in Orthopedics, 504 in Pediatrics, 556 in MS (General Surgery), 622 in Obstetrics & Gynecology, and 630 in Internal Medicine. According to the NMC, there are around 22,000 medical doctors registered at the Council. It means that the number of doctors is insufficient to provide health services to the 29 million plus people of the country. The World Health Organization (WHO) has set a standard of a doctor per 1,200 population in order to provide the accessible health services to the people, said NMC officials. "We are far behind the WHO Standard. Out of the total 22,000 medical doctors in the country, we had only 6,079 specialty doctors including 4,390 males and 1,689 females till 2017," said the NMC registrar. On the occasion of its 55th anniversary on Wednesday, the NMC nominated a group of noted individuals as Friends of NMC to provide advice and feedback on the people's complaints and grudges in order to improve medical services. The nominated individuals are Lokendra Mallik (former Appellate Court judge), Shanta Bahadur Shrestha (former administrator), Yubaraj Ghimire (journalist), Madan Krishna Shrestha and Haribansha Acharya (artists), Ranjhu Jha (Parliamentarian) and Kuber Singh Rana (former police chief). NMC Registrar Dr Sharma said that the government is responsible for addressing the shortage of doctors by bringing policies to produce more doctors. 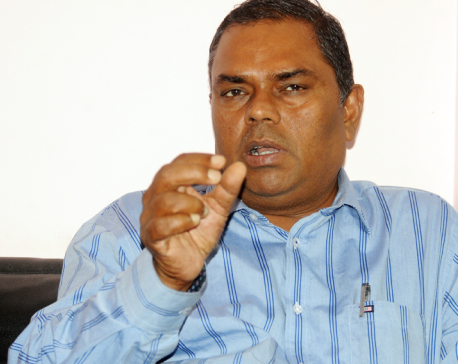 According to the Ministry of Health (MoH), there are about 70,000 health workers in the country. There must be 4.5 health workers including a doctor per 1,000 population as per the international standards. "We brought a policy a few years ago to encourage the willing doctors to study specialized areas by providing them scholarships in government medical colleges and health institutions, asking them to sign bonds to serve in government hospitals," said Dr Shree Krishna Giri, spokesperson for the MoH. "Many students prefer to study general medicine to specialization due to the lack of job security and comprehensive knowledge about the rare areas," he added. "Some specialists prefer to go abroad instead of serving the country." There are 22 medical colleges across the country, according to the NMC. Of them, only 18 including government academies and hospitals teach specialized courses, according to the MoH.